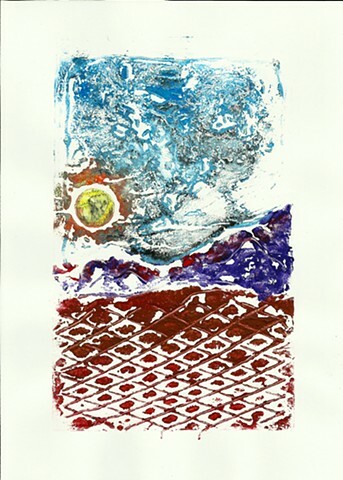 This landscape was made using the collagraph printmaking process. I have several others with slight variations, but this is my favorite. You might be able to make out that the sun was printed by using a penny.